These photos were taken earlier this evening in the cutting at the top of Moor Lane. This looks like rubbish but the contents may be useful for somebody? 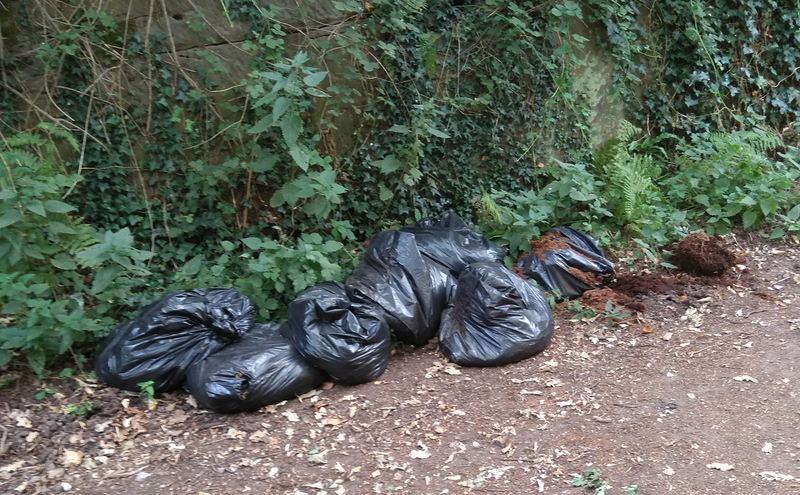 These bags certainly should not have been dumped at this place or for anywhere else. Next Steve Carr’s speech to BROXTOWE BOROUGH FULL COUNCIL MEETING 18th JULY 2018. 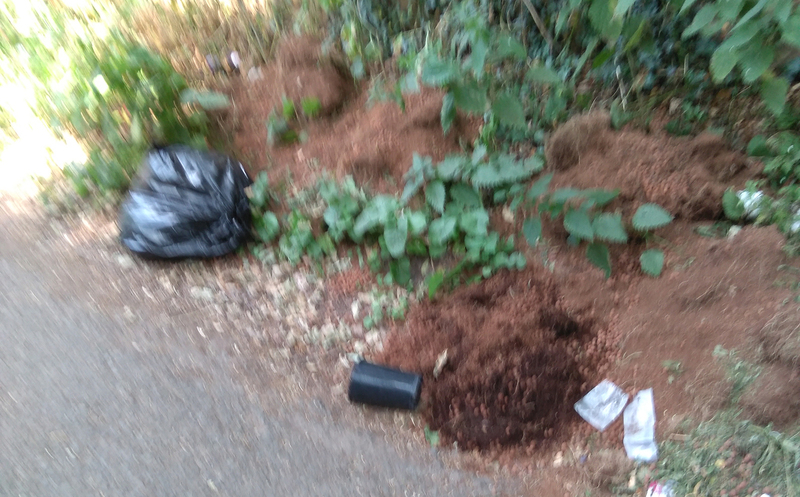 I am aware that Councillor Martin Plackett has informed Paul Summers at Broxtowe Borough Council and requested that these black bags are removed ASAP. Reported similar, just now, on Common Lane – Town Street end. What a waste of our community charge. I would like to see the perpetrators named and shamed! Sue, Broxtowe Environment staff do check such waste for identification and if found prosecution follows carry a heavy fine. I reported but not sure if went through correctly. Tried a second time via the BBC website – says “an error has occurred” both times. You can download and use the ‘FIXMYSTREET’ App for free and that’s a great tool to use for making various reports such as Flytipping,Potholes and much much more.